We posted the notice below announcing our closing on October 26, 2018. Almost immediately we began receiving an overwhelming flow of orders, both from our shopping cart, by phone and by mail. As of today, we are running out of our most popular items, and we have a daunting backlog of orders that we must fill and ship before we can close our doors. To expedite processing of those orders already in hand, we have decided to not accept any further orders. We apologize for cutting short our sale, and we thank you for your enthusiasm for our products. 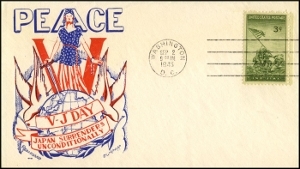 Washington Stamp Exchange was incorporated in 1933, in the depths of the Great Depression, when Leo and Sam August pooled their meager assets to start a business selling first day covers and stamps to collectors under the name of The Washington Press. Stamp collecting and the relatively new specialty of cover collecting were growing hobbies then and collectors quickly embraced the company's new products which included ArtCraft first day covers and White Ace stamp albums and accessories. Throughout our 85 years in business we have always strived to offer friendly service and the highest quality products at reasonable prices. We believe that the many loyal customers and the friends we've made over the years attest to our success in meeting those objectives. Now, however, the time has come for us to turn the page and begin the next chapter in our lives. So with mixed emotions we have decided to close Washington Stamp Exchange at the end of 2018. Starting immediately and continuing until we've sold out, we will be offering everything we have in stock at steeply discounted prices. All White Ace and Stampmount products are on sale at a 50% discount. Place your order on this website, and the 50% discount will be applied when the order is processed. Other special offers will be posted as we prepare them. Click Here to see all special offers and check back regularly to see what's new. We are also making available from our archives the Original Production Artwork and Engraving Plates that were used to create many of the ArtCraft Engraved Cachets produced between 1939 and 2002. Much of our remaining production artwork is displayed on our e-bay store. Click here to view the available art and other items being offered. Engraving plates are priced at $25, and production artwork not listed on e-bay is priced at $20.00 each. A shipping charge of $7.50 will be added to each order for these archival items. To take advantage of this rare opportunity to own a piece of ArtCraft history, ask us about the availability of issues that interest you using our contact form on the left side of this page or call us at our toll free number above. We invite dealer inquiries from anyone seeking to acquire large volumes of collectible items and supplies. In closing, THANK YOU for the privilege of allowing us to help you in your philatelic endeavors. We wish you many years of healthy happy collecting enjoyment ahead. Click Here to see the "Buried Treasures" we've recently discovered! Welcome to The Washington Press! Mounts for stamps, covers, baseball cards. Check them out!